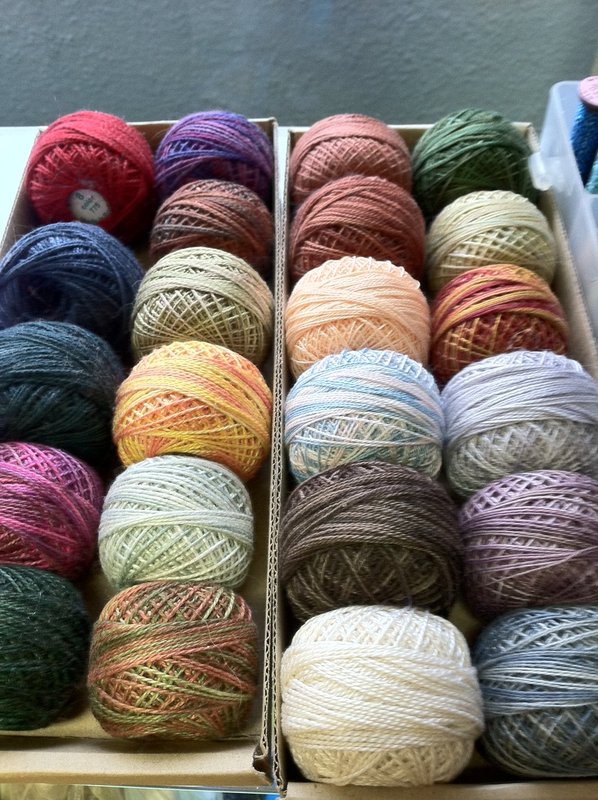 Yesterday we took a quick day trip up to Cheyenne to visit a lovely local yarn shop, Ewe Count. 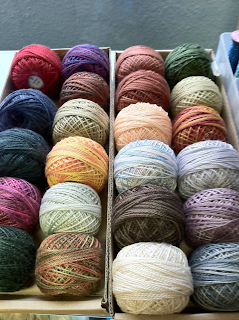 In addition to having a great supply of yarns for knitting, Penny also carries a full line of embroidery supplies. The collection of crochet thread pictured reminds me of Mother's treasured old shoebox full of her great-grandmother's lacemaking thread and bobbins. Before the book signing, Mother taught a 2-hour knitting class from Freddie's new book. She had so much fun she forgot to stop and take some photos! So, you will just have to use your imagination and try to picture how pretty 10 different Freddie's Blanket projects all looked, and a variety of beautiful yarns and colors! Thank you to all of the great students, knitters, and readers, who made this day so fun, especially Penny, for being such a great hostess!